This review forms part of my contribution to the Australian Women Writers 2015 Reading Challenge. All my 2015 AWWC reviews can be found here. 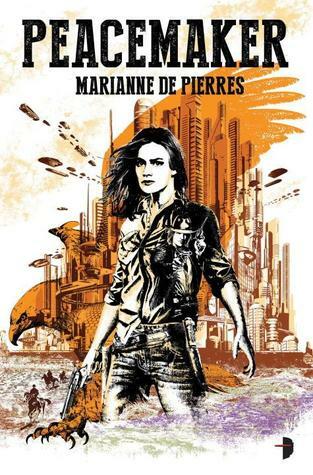 Peacemaker is the latest novel by Australian veteran author Marianne de Pierres, and was the winner of the 2014 Aurealis award for Best Science Fiction novel (the Aurealis awards are Australia’s premium judged awards for speculative fiction). 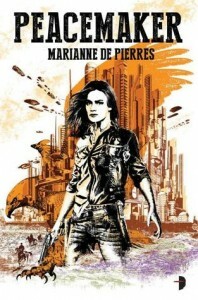 The book is set in future Australia, where urban sprawl has gone to an extreme. Ranger Virgin Jackson works in Birrimun Park, a sort of US Wild West style theme park, which also happens to be some of the only outback land still accessible to citizens. Jackson is self reliant and somewhat anti social. She seems to like her life, but it gets overturned when she comes across a murder in the Park. The rest of the novel follows her attempts to find out what is going on around her. 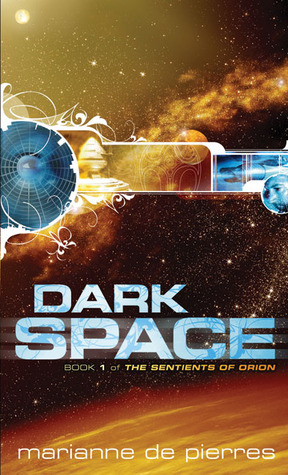 I liked the milieu and general world building of the book. There were intriguing glimpses into how Australia had evolved as a society over a longer period of time. The combination of the urban and the outback style settings made for an interesting contrast, and I was genuinely curious to find out more about how this society operated. I was surprised that this won the science fiction category. While it is set in the future, the tropes and the style of writing seemed to lend themselves better to an urban fantasy categorisation. The supernatural elements are emphasised significantly more than the technology, and the protagonist’s disdain for modern society also takes away from any sort of futuristic feel. I didn’t engage well with the main characters. I found Ranger Jackson a little irritating and the enigmatic US Marshall a little cliched. I did, however, enjoy the array of secondary characters. There was enough to flavour the world though, and highlight the different facets of the world de Pierres has created. The writing was solid and well done – rich enough to draw you in but with an enviable economy. The pace was fast and the plot was interesting. I did, however, find it hard to orient myself in the book. For instance, I walked away with the impression that the eastern seaboard was one big city, but I don’t think that could be right. We’d be talking over 2000km of city. That seems unlikely in the timeframe in question. I probably got that wrong. Issues like that kept dropping me out of the story though and I found it hard to completely immerse myself in the book. Overall this was a solidly written and well put together book. Unfortunately, it didn’t 100% gel with me and I doubt I’ll be seeking out the sequels. However, this was mostly personal taste and I can recommend it for those that like the idea of urban fantasy in a more futuristic setting.